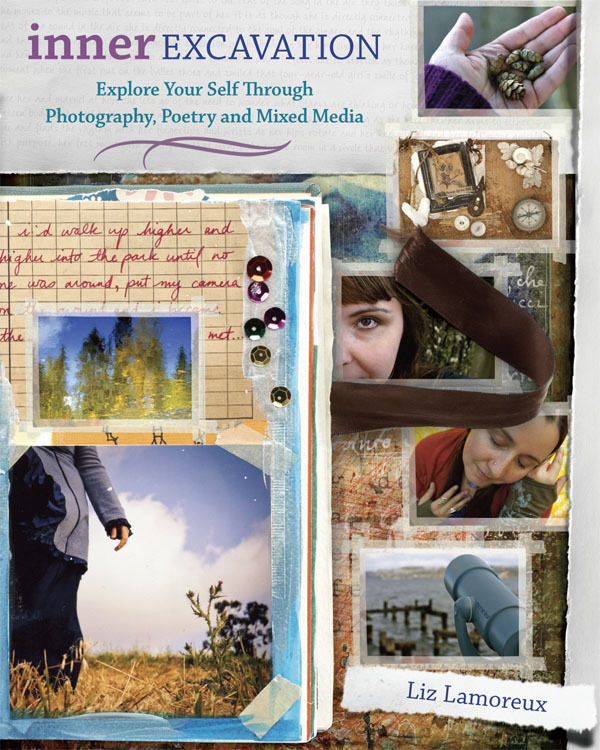 Inner Excavation: Explore Your Self Through Photography, Poetry, and Mixed Media is a book written by Liz Lamoreux, that explores the value of of producing personal documentaries using photography, creative writing and collage. Her book is partly a journal and practically a companion that underscores the significance of using photography and words to represent daily journeys. Lamoreux offers a variety of suggestions to record moments and scenes from everyday life. 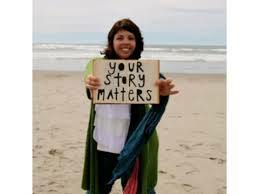 She encourages the making of photo journals as a way to record the significance of taken for granted experiences. Self-portraits are used throughout her journeys, as are ambient surroundings, which range from walks in nature to walks along city streets. Each chapter offers a selection of ideas to document daily walking travels. 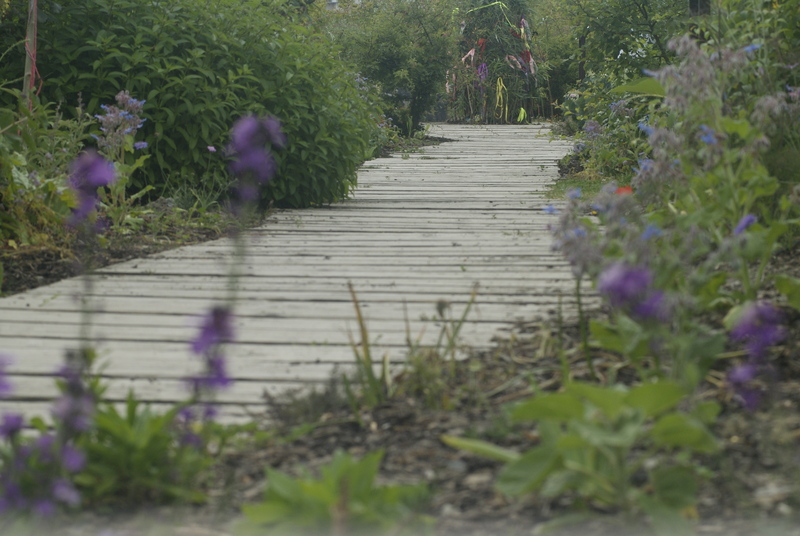 The book offers a structured approach to understanding walking as a way to map out our encounters with everyday spaces. Lamoreux underlines the significance of the common place, the important details of our daily environments as those spaces worthy of representation. The lines of our feet, draw out the pictures of our encounters with places and people. Lamoreux encourages us to both re-trace familiar pathways and to go off-course to discover new routes of travel. 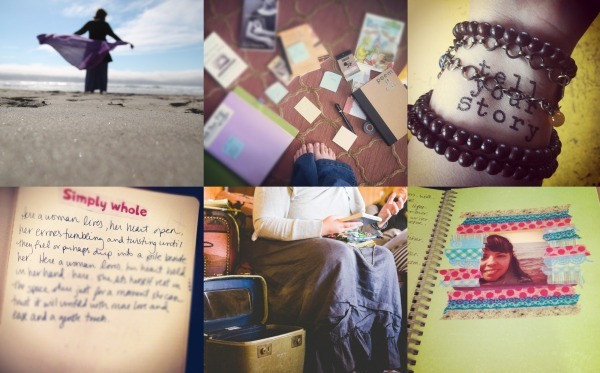 The following are some of Lamoreux’s ideas for personal photography, which could be adapted to art therapy, particularly as a way to encourage the practice of making photography based journals to accompany daily activities.